When dialing numbers outside of Silver Creek Lodge, you must first dial 9 to get an outside line before dialing the ten digit number. Four digit extensions inside Silver Creek Lodge can be dialed directly. 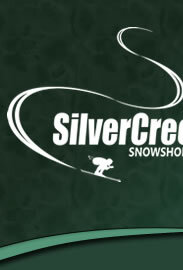 Tell the operator the nature of your emergency, your room number and that you are at Silver Creek Lodge at Snowshoe. Pocahontas Memorial Hospital’s Emergency Department provides 24-hour emergency care with a nurse and physician on duty at all times. The hospital is located on Route 219 South in Marlinton. You may need to leave a message. If the problem is getting worse, call the front desk at extension 6782 or tghe Locker Room Sports Bar at extension 6720 during the winter season. Dr. John Eilers, a general practitioner, has two offices near Snowshoe. The Big Springs Clinic is on Route 66 at the bottom of the mountain and can be reached at 304-572-4410. The Deer Creek Clinic is located in Green Bank and can be reached by calling 304-456-5050. Days, hours, and location vary.